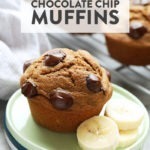 Looking for a healthy banana muffin recipe? We’ve got you covered! 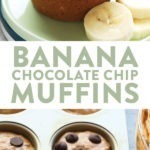 Make a batch of these Whole Grain Healthy Banana Chocolate Chip Muffins for a yummy afternoon pick-me-up all week. Can someone please slow summer down just a little bit? It’s Linley here and Team Fit Foodie is currently on our way home from the Boundary Waters (post coming soon). We have been doing so many fun summer things as a team and separately and let me tell you, summer just blows by when every weekend is booked. I recently made the realization that Minnesotans really take advantage of their summer by packing in as many camping, pool, and cabin weekends as possible. You just never know when the cold weather will hit and then it’s all wool jackets and cross-country skiing for 6 months. Do you feel me people from the great north? 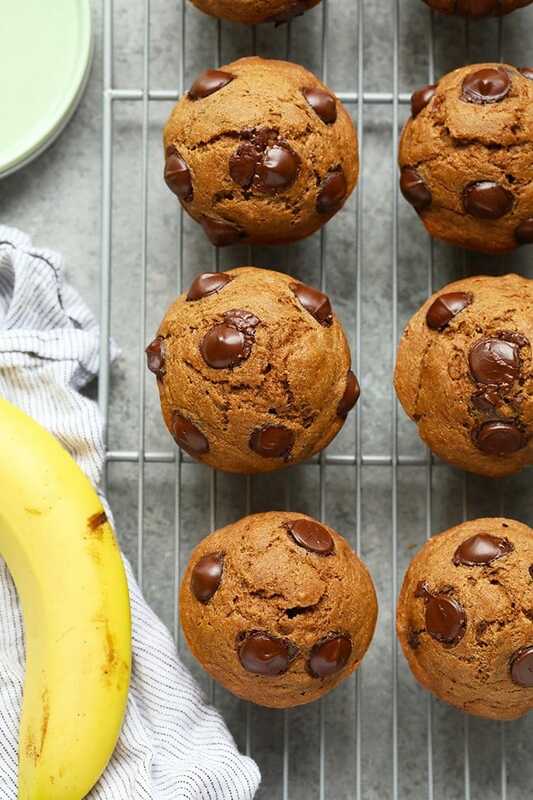 We plan to continue living out summer to the fullest, which means making many batches of these healthy banana chocolate chip muffins. hehe. There is something very nostalgic about muffins for me. They are the chicken soup of the dessert group- a comfort food. 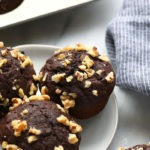 Whether you make homemade muffins or stop for a store-bought muffin, there is something comfortable about a muffin. You can just always count on a muffin! 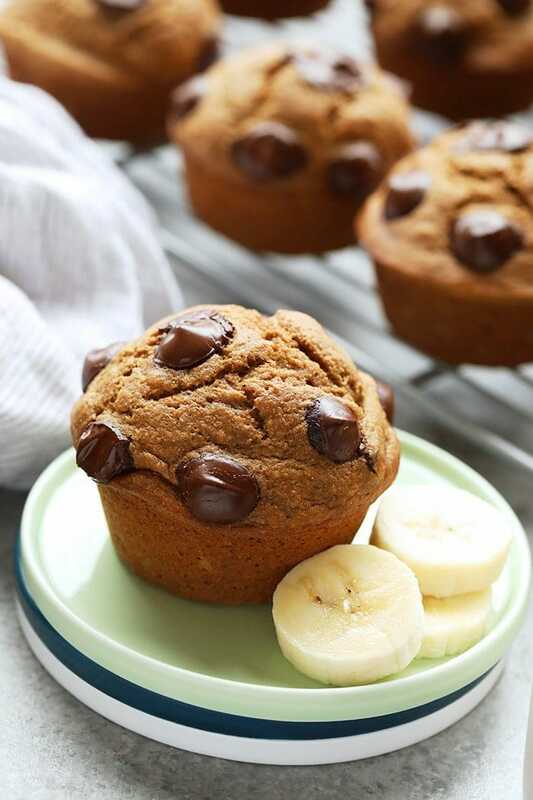 Our healthy banana muffins are a Fit Foodie Staple. We love making a big batch of them for the week. They are even great when you let them cool and throw them in the freezer for later! 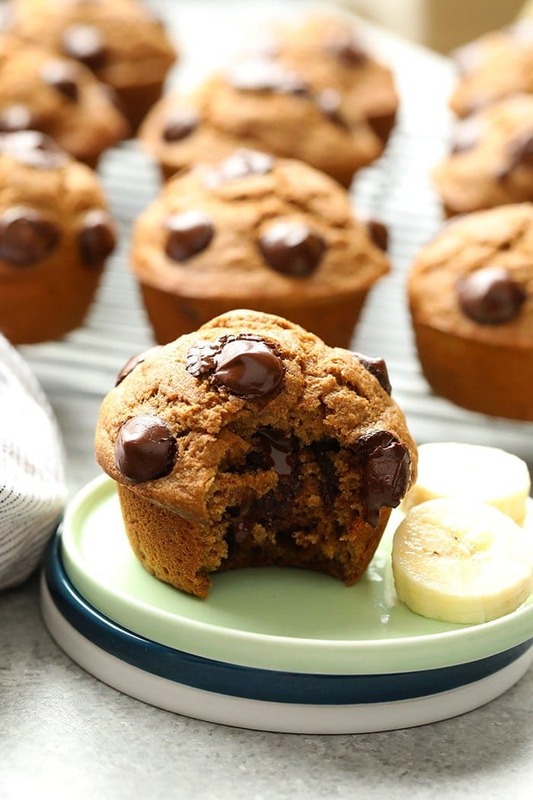 We lightened a classic banana chocolate chip muffins recipe by naturally sweetening them with mashed banana and coconut sugar and dropping the butter and using coconut oil. 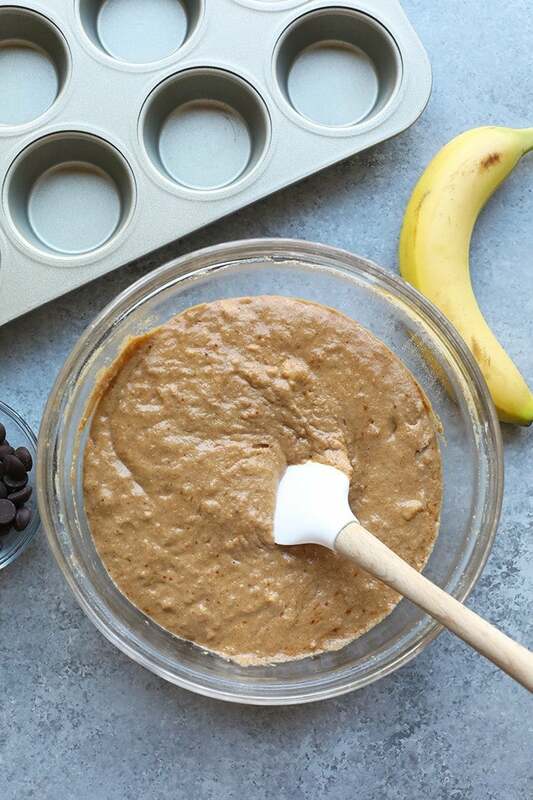 I promise you these healthy banana muffins don’t even taste healthy because they’re incredibly moist and delicious! 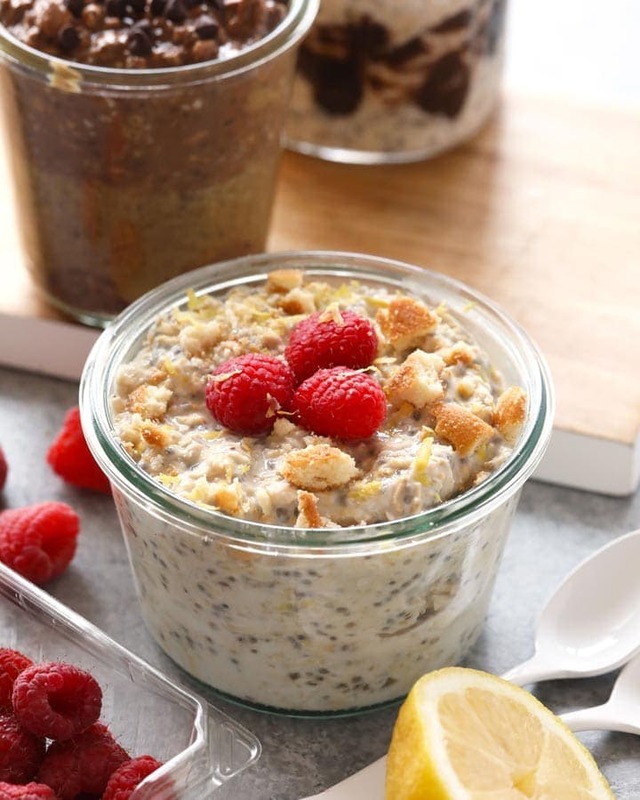 naturally sweetened with bananas and coconut sugar. 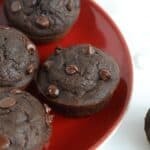 the perfect healthy snack or dessert! 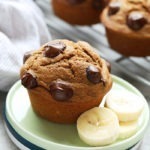 Looking for a healthy banana muffin recipe? We’ve got you covered! 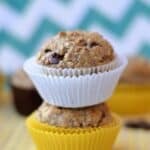 Make a batch of these Whole Grain Healthy Banana Chocolate Chip Muffins for a yummy afternoon pick-me-up all week! 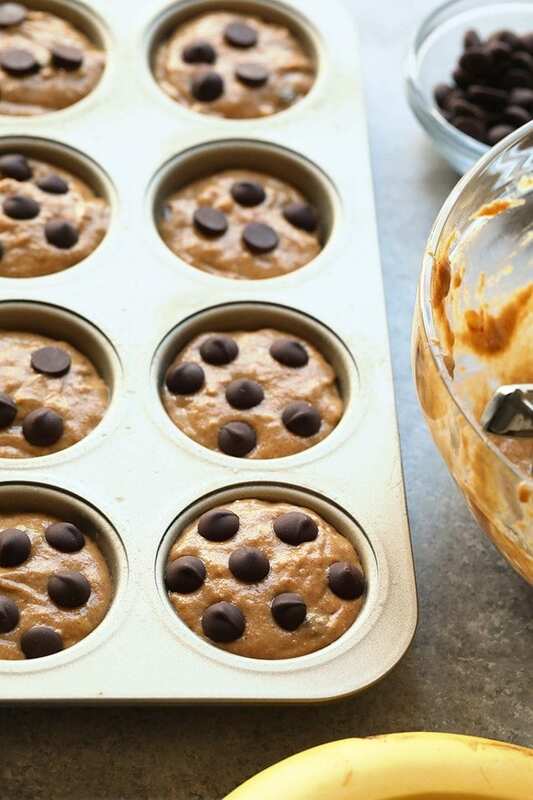 First, preheat oven to 350ºF and line a muffin tin with cupcake liners or spray with coconut oil cooking spray. Place dry ingredients into a large bowl and whisk. Mash 2 large bananas in a medium-size bowl until there are a few lumps. Then, crack in 2 eggs and whisk. Add almond milk and vanilla and whisk again. Combine dry ingredients with wet ingredients until smooth. Then, add in melted coconut oil and mix again. Transfer batter into muffin tin. Fill each one nearly to the top (these are going to be big muffins!) 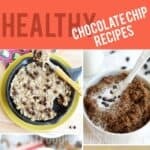 and add a few more chocolate chips to the top. Bake at 350ºF for 20-23 minutes or until you do the toothpick test and it comes out clean. Protein Powder: option to replace 1/4 cup of flour for 1/4 cup of protein powder. We recommend using Garden of Life Plant-Based or SFH Whey-Based for baking. Nutrition is for 14 muffins.